Water was not being tested or treated properly because of a lack of money. By Lucas Nowicki. 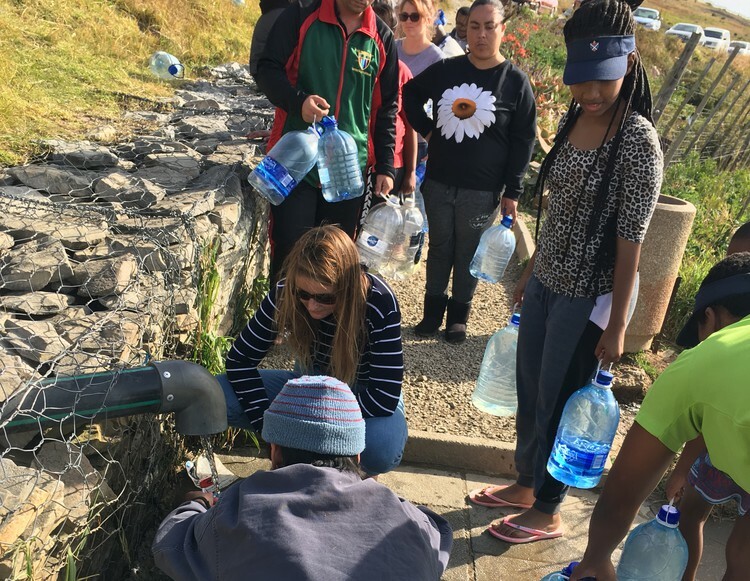 Some residents of Grahamstown and other parts of Makana Municipality have been without access to clean water for months. In mid-May, independent laboratories discovered that there were unsafe levels of E.coli in Makana’s drinking water supply. This sparked outrage among local residents and civil society organisations, who accuse the municipality of inefficiency and mismanagement. The problem was first raised publicly by the Social Development and Infrastructure Development and Technical Services portfolio committees who, on May 16 and 17, highlighted that high levels of E.coli — bacteria indicating contamination by faeces or sewage, which can cause a number of illnesses — had been found in the water supply. This raised questions over Makana’s management of water-supply infrastructure and sanitation. Only after these concerns were raised at the committees did officials explain that they had not been testing the water, and did not have the necessary chemicals to treat the water because of financial constraints. They assured the public that the chemicals were on the way. According to Flow, a Rhodes University student research initiative, there are two water treatment works in Makana: the James Kleynhans Water Treatment plant, which supplies the poorer eastern side of Grahamstown with water, and Waainek Water Treatment works, which provides water to the wealthier university orientated side. The water comes from the surrounding Orange and Kariega river systems which act as catchments in surrounding valleys. This results in small, highly polluted streams carrying sewage leaks, spilled oil, chemicals and faeces into the rivers, and eventually into the water storage dams. “The eastern township side has long suffered from pipe leakages and heavily silted water from James Kleynhans. Infrastructure and maintenance is a problem. James Kleynhans only has the capacity to pump ten megalitres a day, when the demand is 30 megalitres,” explained Tim Bull, secretary of the Grahamstown Residents’ Association. In 2015, Makana Municipality hired Amatola Water, a company which specialises in providing sanitation and water supply services to municipalities, to manage Makana’s unreliable water supply. This included managing infrastructure and buying chemicals for the treatment plants. However in August 2017, Amatola Water withdrew its services due to a R40 million unpaid debt from Makana. According to the residents’ association and officials, this left Makana without the skills or resources needed for water management operations. So when chemicals needed for treatment were running out, which is estimated to have been in about February this year, instead of alerting the Minister for Water Affairs or the public as is standard procedure, officials revealed at the portfolio committee meetings that R41,000 worth of hydrochloride swimming pool tablets was bought in an attempt to treat the water. However this was insufficient for the vast amount of water needed to be treated. “At Waainek they ran out of chlorine, but now [that the public has been informed], the Department of Water and Sanitation (DWS) has gotten involved to get it working properly,” said Bull. Months later, after independent tests were done in Grahamstown and the issues were raised at the portfolio committees meeting, the municipality was forced to address the issue of contamination. By that time there were likely residents that were already sick as a result of the polluted water. “A number of residents of Makana were affected because they didn’t receive notices that it was cross-contaminated. We have had people taking their babies to clinics or to health practitioners with either fever, diarrhoea or because they have a rash. They were not aware that they were supposed to boil the water,” said Ayanda Kota, chairperson of the Unemployed People’s Movement (UPM) based in Grahamstown. Kota led 25 members of the movement to deliver buckets of dirty water collected from taps and raw sewage to a public consultation meeting on May 31. Kota described the protest as an attempt to assert the dignity and humanity of the residents of Makana. “This is an issue of officials that do not want to be accountable. It is an issue of municipalities who only think they are accountable to their political parties, when you need to be accountable to your residents,” said Kota. Dali Mlenzana, Director of Engineering and Infrastructural Services at Makana Municipality, assured all residents that the necessary chemicals had been delivered two weeks ago and were already in use. However, he warned that they are still unsure of any residual bacteria, and advised all residents of Makana to continue boiling tap water for at least the next two weeks. “What we are doing now is making sure that the water reaches the national standard set by the Department of Water and Sanitation,” said Mlenzana.